Hi Richard James here with another update on the Personal Tax Account. Last time we spoke the biggest news was that more than one million customers were using the Personal Tax Account, well that figure has more than trebled. Personal Tax Account now has over 3.5 million active users with satisfaction scores currently running at around the mid-70s mark. 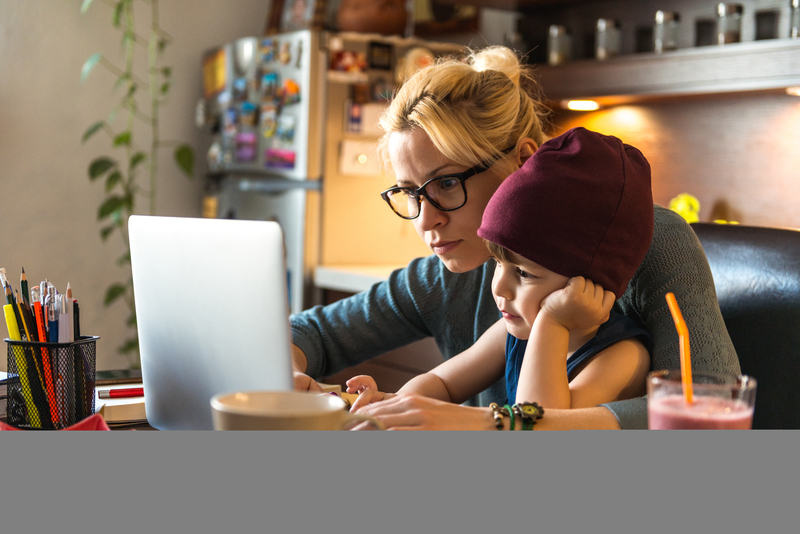 Child Benefit Customers can now tell us about changes that affect their child benefit, including telling us about children who are staying on in full time non-advanced education to ensure their child benefit doesn’t stop. Check/change Address details All customers can check we hold the correct address and tell us if straight away if it’s changed. It’s particularly important for customers who move to or away from Scotland to check we have the current address as it will determine whether they’re correctly registered for the Scottish Rate of Income Tax and on a Scottish tax code. National Insurance number A new confirmation service where customers can simply print a letter confirming their NI Number without having to call – making it much faster and easier for customers who are asked for this confirmation by an employer or other organisation. And there’s still more in the pipeline. Next up will be the introduction of an end of year reconciliation and a repayment service. PAYE customers will be able to check they’ve paid the right amount of tax and if they’ve paid too much they can arrange a refund direct to their bank account within 3-5 working days. Much quicker than waiting for a payable order and having to pay it into their accounts themselves. Later in this year we’re introducing an Online Payment service so customers who haven’t paid enough tax through PAYE can use their Personal Tax Account to make a payment to HMRC without the need to call us or send us a cheque. Our Trusted Helper service, which allows customers to get help using their Personal Tax Account from a family member or close friend, which is currently only available to customers and helpers who’ve used Verify, will be improved so that our customers using Government Gateway Credentials can also get the help they need online. From the Personal Tax Account sign in page you can login by setting up a Government Gateway account. It only takes a few minutes and you’ll need to have your National Insurance number and your P60 handy. If you already have a Government Gateway account it will be even quicker. To make the process even more secure we’ll text you a security code that you’ll need to enter each time you use your account. You can also find out more about the Personal Tax Account by watching the HMRC YouTube video about it. I'll catch up again with you soon. Can you tell me, please, why my personal tax account is different to others I have seen. For example, I cannot see any reference to Self Assessment or VAT on my personal tax account (even though I have been running a business in partnership with my husband for the last 21 years and file quarterly VAT Returns) whereas others I have seen do include this detail. Have I registered for the wrong type of personal tax account? From December 2015, the Personal Tax Account (PTA) was rolled out alongside the Business Tax Account (BTA). The Business Tax Account enables small and mid-sized businesses to see their current tax position. Businesses can log in 24/7 using any device that has an internet connection. Once businesses log in they will see their customised homepage and the taxes they have registered to pay - this could include Corporation Tax, employer's PAYE, VAT and Self Assessment - as well as details of filing or payment deadlines and tax owed. The Personal Tax Account brings together the personal information of our individual customers in one place and provides an overall view of the HMRC services that are relevant to their personal circumstances. These can be accessed once the customer has been successfully authenticated online. Customers can use their PTA to register for new services, update their information and see how much they need to pay - putting them in control of their relationship with HMRC and enabling them to do so at a time that suits them. It won't include details that are included on your Business Tax Account. But there is a link on the PTA homepage that will take you to the Business Tax Account if you need to use it. HMRC's long term aim is to have one digital account that will provide everything our individual customers need, but its still in development stage. Thanks for your response. I do appreciate that the two systems are running in parallel and it will take time to merge them completely. I have a Business Tax Account for my business. I did not apply to set this up but, as I am VAT-registered and submit quarterly VAT Returns, I believe this has happened automatically. This has not connected to my Personal Tax Account, nor that of my husband and business partner and this may be because the business is a partnership and partnerships do not pay tax under Self Assessment (but individual partners do). Could this be why there is nothing on my personal Tax Account offering me a link to Self Assessment? It has. Customers don't specifically request a Business Tax Account - one is created for them depending on what tax they want to manage. VAT is a business organisational enrolment that creates a Business Tax Account through the current GOV.UK registration journey. The Business Tax Account will show a link to a persons Personal Tax Account where only Self Assessment (self employed income) is managed - a link to the Personal Tax Account will not be present in any other circumstances. This is a security measure in case credentials are shared with someone else, such as a business partner on VAT. This prevents that person being able to access personal details for the original account holder. I am partially sited I cannot read even large print, there is never going to be a possibility of being able to use a computer or to able to read a text with a security code. This is the situation with my 90 year old uncle, its never going to be possible for him to have a personal tax account. Also his house does not pick up mobile signals. Sent for him as he cannot see this form and does not have an email address. We recognise that there are those like yourself who genuinely cannot get online due to their individual circumstances, such as disability, geographical location or other reasons so alternatives, such as telephone filing and home visits, will be provided for these customers; there is no intention to force you or them to go online. Our Needs Extra Support service launched in 2014 provides support to those in need through dedicated call handlers and a team of mobile advisers. These advisers are able to go out and meet customers face-to-face if needed, tailoring support to meet the needs of the individual. There have been over 4500 home visits and 100,000 phone calls and HMRC will continue to work to improve this service. The Needs Extra Support service has gone from strength to strength in helping more vulnerable customers and we’ll ensure we always have the right support for all customers so they can deal with their tax quickly and easily. Also Agents will continue to have a key role in supporting their customers’ use of online services and customers will be able to nominate a Trusted Helper – either a friend or relative – to manage their affairs on their behalf. I hope this helps yours and your Uncles situation. You can find out more about the Needs Extra Support Service here.